Bucco lanceolata Deville, 1849, Pampa del Sacramento, upper Ucayali River, Peru. Monotypic. 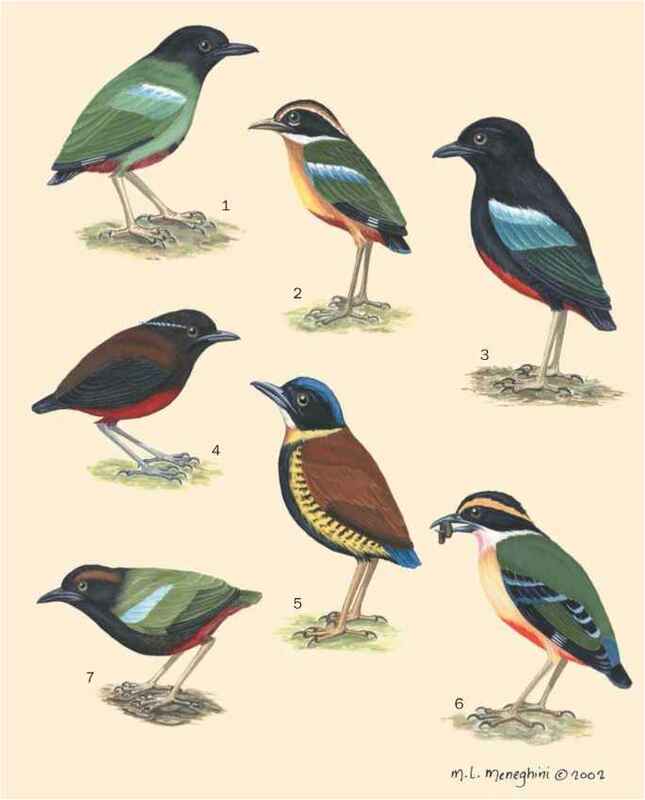 French: Barbacou lanceole; German: Streifen-faulvogel; Spanish: Monjita Lanceolata. white loral patch (bordered black) extending across forehead. White underparts heavily streaked black, except for central belly; undertail coverts buffy. Bill black and iris brown. 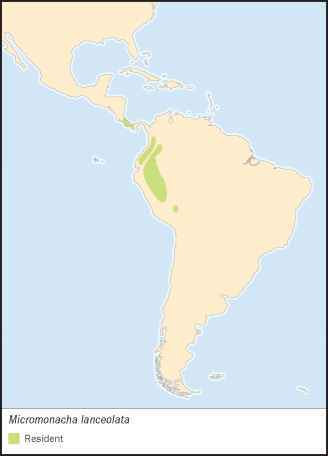 Western Costa Rica, west-central Panama; also from southwestern Colombia to western Ecuador and west-central Colombia to northern Bolivia. 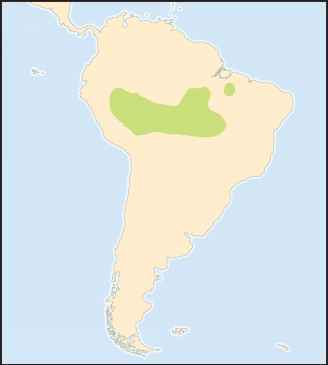 At all strata (but usually low down) and most often at borders of primary and secondary humid forest at 980-6,890 ft (300-2,100 m). Principally solitary, although pairs are probably sedentary and territorial. Usually found sitting unobtrusively at forest edges or sometimes accompanying mixed-species flocks. Hunts insects from perches and is known to eat berries, at least seasonally. Nest is placed at end of a 16-in (40-cm) tunnel into a bank. Clutch contains two eggs; estimated incubation period 15 days. Not threatened. Nowhere common, but widespread and thought to be secure.